This powerful eye serum is packed full of ingredients that work with the skin to effectively reduce puffiness, lines, and dark circles around the delicate eye area. Eye Wish also contains proven actives that increase collagen and elastin as well as to firm and protect the delicate layers around the eye. 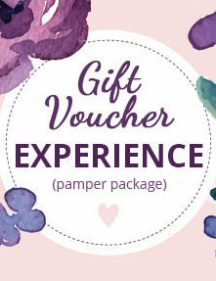 Categories: Flawless Skin Care, Eye Care, Ageing, Men Skin. Tags: am eye serum, antiaging eye cream, dark cycles, eye cream, flawless, flawless skin health system. Eye wish eye serum is a delicate light cream that will refresh your eye area and help to lighten and brighten this delicate area that shows the first signs of ageing. 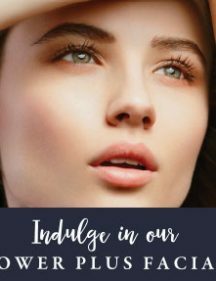 With a beautiful blend of natural oils, Vitamin B for hydration and lightning ingredients makes this the perfect choice for dark cycles, puffiness and darkness around the eye area. Suited to: All skin types, can use am & pm for a younger client and works synergistically with Eye Dream at night for a more mature skin. Ingredients: Water (Aqua), Glycosaminoglycans, Cetearyl Olivate, Glycerin, Niacinamide, Prunus Dulcis (Sweet Almond) Oil, Phosphatidylcholine, Sodium Hyaluronate, Sodium Carboxymethyl Beta- Glucan, Caprylic/Capric Triglyceride, Squalane, Sorbitan Olivate, Epilobium Angustifolium Flower/Leaf/Stem Extract, Caprooyl-Tetrapeptide-3, Palmitoyl Tripeptide-38, Hydroxypropyl Cyclodextrin, Chrysanthellum Indicum Extract, Angelica Polymorpha Sinensis Root Extract, Dextran, Pelargonium Graveolens Leaf Oil, Rosmarinus Officinalis (Rosemary) Leaf Oil, Santalum Album (Sandalwood) Oil, Commiphora Myrrha (Myrrh) Oil, Citrus Aurantifolia (Lime) Oil, Hydrogenated Lecithin, Xanthan Gum, Cetyl Hydroxyethylcellulose, Potassium Sorbate, Butylene Glycol, Dehydroacetic Acid, Benzyl Alcohol. More Info: Dark circles and puffiness of the lower eyelid region usually occurs from kidney strain, excess caffeine and other stimulants, use of NSAID (aspirin, ibuprofen), anxiety or heavy stress, and lack of sleep. If for any reason you are unhappy with your purchase please contact our friendly staff we are here to help and support you. We will refund you within 14 days of purchase if unopened. Once opened we can only except refunds if a reaction or irritation has occured which will need to be documented and discussed with our team, we will request a photo to verify the reaction for our documentation. 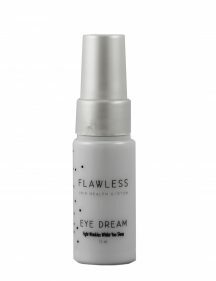 Intensive eye serum that helps restore a healthy barrier and plump fine lines around the eyes, while providing protection and improvement to this delicate area. Fight lines whilst you sleep! Use Luminous to calm and soothe very dry skin and or to promote wound healing. Immerse your skin with powerful antioxidants from raspberry oil, vitamin E, and calendula along with barrier-restoring natural lipids. Luminous is divine to use and leaves a subtle lemon aroma. 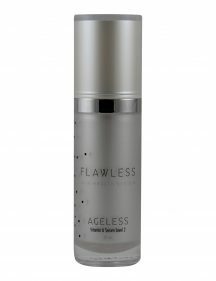 Ageless combines Retinaldehyde a form of Vitamin A which will encourage your skin to calm inflammation, restore the protective barrier, increase skin nutrients and immune repair, rebuild the dermis, normalise oil production, hydrate, firm and help to protect skin from UV exposure. Glow Gentle Enzyme Exfoliant has a wonderful scent and texture. It will leave your skin feeling soft, gently exfoliated, and with a beautiful healthy glow that lasts. Glow will gently break down the dead skin barrier that can accumulate on the surface of your skin, once you remove Glow Exfoliation Mask your other Flawless Skin Health Products will penetrate better. We love this enzymatic exfoliation mask & so will your skin! 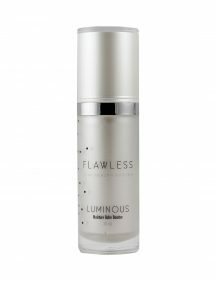 With over 150 different skin growth factors derived from adult stem cells this magical serum improves all aspects of skin aging and skin damage. Advanced technology utilises exosomes that encapsulate the human stem cells growth factors and proteins which increases active penetration, stability and activating more receptors to enhance and aid absorbsion by the deeper layers of your skin for superior results. Age defy enhanced with human stem cells gently restores the repair process and stimulates new cells to build collagen and elastin, heal hyperpigmentation and reverse aging. Amend is a gentle Essential Vitamin serum designed to treat sensitive skin types. If you desire a dramatic restoration of the skin rejuvenation process but are new to using active ingredients on your skin, this is the serum to begin introducing the benefits of Vitamin A and Vitamin B into your skincare rooteen. Amend combines Retinaldehyde a form of Vitamin A which will encourage your skin to calm inflammation, restore the protective barrier, increase skin nutrients and immune repair, rebuild the dermis, normalise oil production, hydrate, firm and help to protect skin from UV exposure.